Interrogatories: Each party can usually send 30 interrogatories to each other party. Requests for production of documents: each party can send as many document requests as they want. In Maryland car accident cases, these usually include requests for accident reports, car photos, insurance contracts, expert reports and other relevant evidence. Requests for admission of fact: Each party can send an unlimited number of requests for admission, which are often used to seek agreement that facts are uncontested, or that documents are true and genuine. Depositions: Each party is allowed to conduct a deposition of any person (parties and non-parties). In a deposition the lawyers will ask recorded questions of the person, which are answered under oath and penalty of perjury. Typical deponents (people being deposed) are the plaintiff, defendant, witnesses and sometimes doctors or experts. Medical Exams: Defense lawyers frequently try to have the plaintiff examined by one of their hired expert doctors. These doctors are typically hired to cast doubt on the plaintiff’s medical condition. Each county has their own method of setting trial dates. Some counties set trial from the beginning, and in others the trial is set In some, the trial date is assigned very early with the court’s scheduling order. The scheduling order sets the deadlines to get things done in the case, like designating witnesses, mediation and discovery deadlines. Baltimore County, for example, assigns trial dates after a mandatory settlement conference. Some counties will assign a shorter or longer time from filing to trial based on the complexity of the case. Some cases, like products liability or medical malpractice, might get put on a longer track with more time for discovery, motions and experts. In general, it can take one to two and-a-half years to get to trial from the time of filing. Unlike district court where trial typically takes an hour or so, trials in circuit court usually last a full day or a few days. 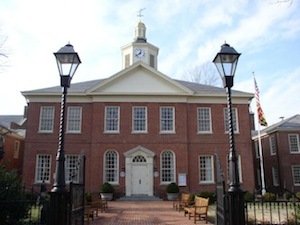 Most Maryland auto accident lawsuits require two to three days of trial. Just like a district court case, if filed for $30,000.00 or less, the plaintiff can use medical reports and bills to prove her case. In most circuit court cases, however, the plaintiff will rely on treating doctors or expert physicians to present that evidence. That medical evidence is presented at trial either with the doctor testifying on the witness stand, or testifying days or weeks before, and being recorded and played back by video. The doctor must explain to the judge or jury that the accident caused the injury, the diagnosis, the prognosis, and the cost of treatment.